I had actually never been through the full Roger Rabbit queue til my most recent trip, and I have to say it is amazing to walk through! I would love it if all of Toontown looked like this after dark. 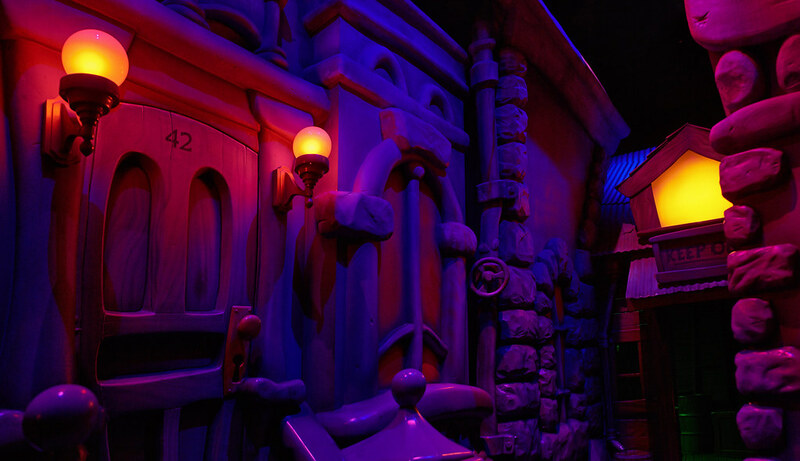 This entry was posted in Toontown and tagged animation, dark ride, night, noir, Roger Rabbit, toon. Bookmark the permalink.